Manchester is a city with a wide choice of accommodation for all. No matter what your budget is, we'll make sure you're only a short walk from the best nightlife in the city! There's no shortage of staying options in Manchester, for more information, including maps, details of property, and availability, browse below. 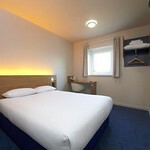 Holiday Inn Express Manchester East. 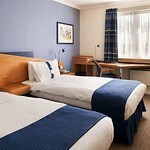 Most booked Manchester Hotel, it is modern, clean, great value for money with a complimentary buffet breakfast. 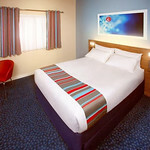 Travelodge Manchester central hotel is a perfect place to stay for short breaks, holidays, leisure stays and corporate meets. Located favourably in the heart of Manchester city centre,Hilton Chambers is perfect for the shops, bars, nightclubs, entertainment & live music venues! From luxury hotels, serviced apartments to hostels Manchester has it all. If you hens are planning to stay in a central location, then we have a wide range of 3 star hotels for you. These hen friendly hotels and apartments offer you with en-suite bathrooms, TV, telephone, tea & coffee making facilities, air-conditioning and all modern amenities. Ideal for large groups, these serviced apartment allows the group a greater degree of socializing than in hotel bedrooms. But, if you girls would like to stay in style, then the luxury hotels will be the right choice, with leisure facilities like pool, Jacuzzi and sauna. Our tried and tested hotels in Manchester offer you the best value and are ideal for all hen groups. Another cool option to relax your head after a heavy night of partying is the self catering apartments, a cool option to stay on your hen do in Manchester without breaking the bank! 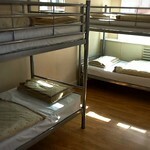 Most of the accommodation base are located close to the city centre with all the party hideouts within a short walk. 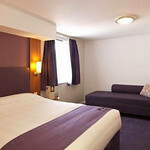 You can even find some great places to stay in the popular Printworks complex area with many bars and clubs to look for. For budget accommodation in Manchester, we have a choice of hostels and dorms which are a great choice for both small and large groups. These city centre hostels are close to the top nightclubs and bars which means you won't be missing out on any of the action. Most hen friendly accommodation in Manchester offers, transfer deals, meal passes and VIP club passes. So, just give us a call and our team can come up with some of the best accommodation deals for you.